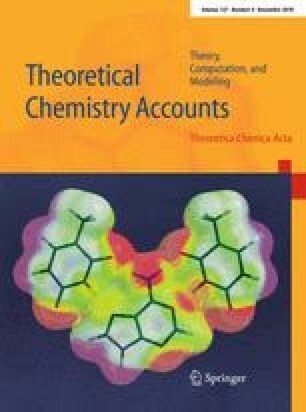 The molecular orbital OH (MOOH) approach is a perturbational quantum chemical method to predict rate constants of OH radical reactions with organic compounds. Going beyond previous AM1 parameterizations, a first ab initio implementation employing the HF/6-31G** level of calculation has been developed. For a set of 799 organic compounds with experimental rate constants, k OH, varying over more than six orders of magnitude, the new MOOH-HF method is superior to both MOOH-AM1 and Atkinson’s increment scheme, yielding a predictive squared correlation coefficient (q 2) of 0.95 and a root-mean-square error of 0.29 log units. For oxygenated compounds, MOOH-HF shows significant improvements over MOOH-AM1, which holds in particular for aldehydes and ketones. The discussion includes detailed comparative analyses of the model performances for individual compound classes. The authors thank Dr. Andreas Klamt for making available the original MOOH source code. This research was financially supported by the European Commission through the projects NOMIRACLE (FP6 contract no. 003956) and OSIRIS (contract no. 037017).